AMMONNEWS - The US-led coalition fighting ISIS in Syria destroyed a command center in a mosque in the war-torn country on Thursday, officials said. The strike is another indication that ISIS has not been “defeated” in Syria, as Trump claimed last month when he ordered the withdrawal of US forces from the country. Coalition aircraft “destroyed an ISIS command and control facility in a mosque in Safafiyah,” a coalition statement read. “ISIS continues to violate Law of Armed Conflict and misuse protected structures like hospitals and mosques, which cause a facility to lose its protected status,” the statement added. ISIS holdouts in Syria are mainly in the eastern province of Deir Ezzor. 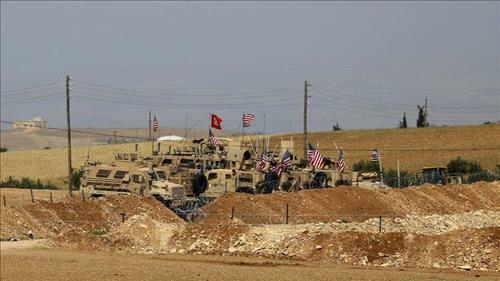 Four Americans, including two US soldiers, were killed Wednesday in a suicide blast claimed by ISIS in the northern city of Manbij. It was the deadliest attack against US forces since they first deployed to Syria four years ago.